Welcome to Imagelys Picture Styles. This Quick Start Guide will show you how to get working with seamless textures as quickly as possible. 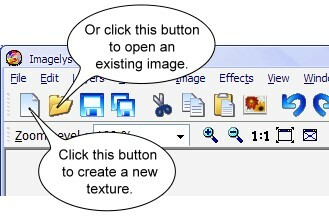 It's very important before starting to create a new texture or open an existing image. 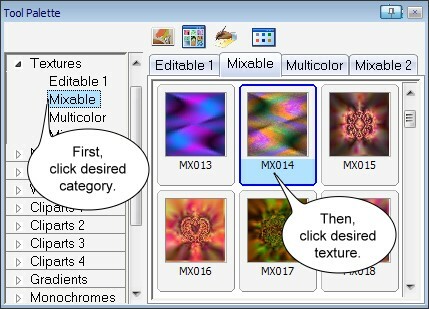 In the ToolPalette, click the category of texture you are interested in, then click one of the texture icons to the right. 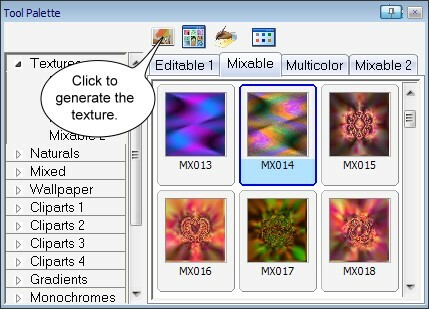 Now, click the Generate button on the ToolPalette. After a little while (the rightmost portion of the status bar shows the progress), the rendered texture will be displayed. 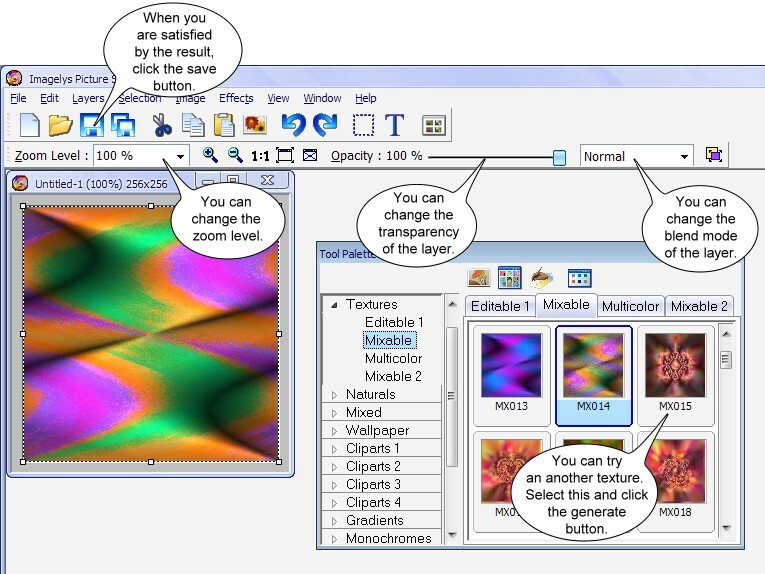 When you are ready to start creating your own textures, refer to the next tutorials.